The early days of the Solar System are hard to piece together from our vantage point, billions of years after it happened. Now a team of scientists have found a tiny chunk of an ancient comet inside an ancient meteorite. They say it sheds light on the early days of the Solar System when planets were still forming. Another topic with plenty of updates. Since we started Astronomy Cast we’ve visited many smaller objects in the Solar System up close, from Ceres and Vesta to Pluto, not to mention a comet. What have we learned? 70,000 years ago, our keen-eyed ancestors may have noticed something in the sky: a red dwarf star that came as close as 1 light year to our Sun. They would’ve missed the red dwarf’s small, dim companion—a brown dwarf—and in any case they would’ve quickly returned to their hunting and gathering. But that star’s visit to our Solar System had an impact astronomers can still see today. The star in question is called Scholz’s star, after astronomer Ralf-Dieter Scholz, the man who discovered it in 2013. A new study published in the Monthly Notices of the Royal Astronomical Society by astronomers at the Complutense University of Madrid, and at the University of Cambridge, shows the impact Scholz’s star had. Though the star is now almost 20 light years away, its close approach to our Sun changed the orbits of some comets and asteroids in our Solar System. When it came to our Solar System 70,000 years ago, Scholz’s star entered the Oort Cloud. The Oort Cloud is a reservoir of mostly-icy objects that spans the range from about 0.8 to 3.2 light years from the Sun. Its visit to the Oort Cloud was first explained in a paper in 2015. This new paper follows up on that work, and shows what impact the visit had. “Using numerical simulations, we have calculated the radiants or positions in the sky from which all these hyperbolic objects seem to come.” – Carlos de la Fuente Marcos, Complutense University of Madrid. In this new paper, the astronomers studied almost 340 objects in our Solar System with hyperbolic orbits, which are V-shaped rather than elliptical. Their conclusion is that a significant number of these objects had their trajectories shaped by the visit from Scholz’s star. “Using numerical simulations, we have calculated the radiants or positions in the sky from which all these hyperbolic objects seem to come,” explains Carlos de la Fuente Marcos, a co-author of the study now published in Monthly Notices of the Royal Astronomical Society. They found that there’s a cluster of these objects in the direction of the Gemini Constellation. There are four ways that objects like those in the study can gain hyperbolic orbits. They might be interstellar, like the asteroid Oumuamua, meaning they gained those orbits from some cause outside our Solar System. Or, they could be natives of our Solar System, originally bound to an elliptical orbit, but cast into a hyperbolic orbit by a close encounter with one of the planets, or the Sun. For objects originally from the Oort Cloud, they could start on a hyperbolic orbit because of interactions with the galactic disc. Finally, again for objects from the Oort Cloud, they could be cast into a hyperbolic orbit by interactions with a passing star. In this study, the passing star is Scholz’s star. The timing of Scholz’s star’s visit to the Oort Cloud and our Solar System strongly coincides with the data in this study. It’s very unlikely to be coincidental. “It could be a coincidence, but it is unlikely that both location and time are compatible,” says De la Fuente Marcos. In fact, De la Fuente Marcos points out that their simulations suggest that Scholz’s star approached even closer than the 0.6 light-years pointed out in the 2015 study. The one potentially weak area of this study is pointed out by the authors themselves. As they say in their summary, “…due to their unique nature, the orbital solutions of hyperbolic minor bodies are based on relatively brief arcs of observation and this fact has an impact on their reliability. Out of 339 objects in the sample, 232 have reported uncertainties and 212 have eccentricity with statistical significance.” Translated, it means that some of the computed orbits of individual objects may have errors. But the team expects the overall conclusions of their study to be correct. The study of minor objects with hyperbolic orbits has heated up since the interstellar asteroid Oumuamua made its visit. This new study successfully connects one population of hyperbolic objects with a pre-historic visit to our Solar System by another star. The team behind the study expects that follow up studies will confirm their results. Some might say it’s paranoid to think about an asteroid hitting Earth and wiping us out. But the history of life on Earth shows at least 5 major extinctions. And at least one of them, about 65 million years ago, was caused by an asteroid. Preparing for an asteroid strike, or rather preparing to prevent one, is rational thinking at its finest. Especially now that we can see all the Near Earth Asteroids (NEAs) out there. The chances of any single asteroid striking Earth may be small, but collectively, with over 15,000 NEAs catalogued by NASA, it may be only a matter of time until one comes for us. 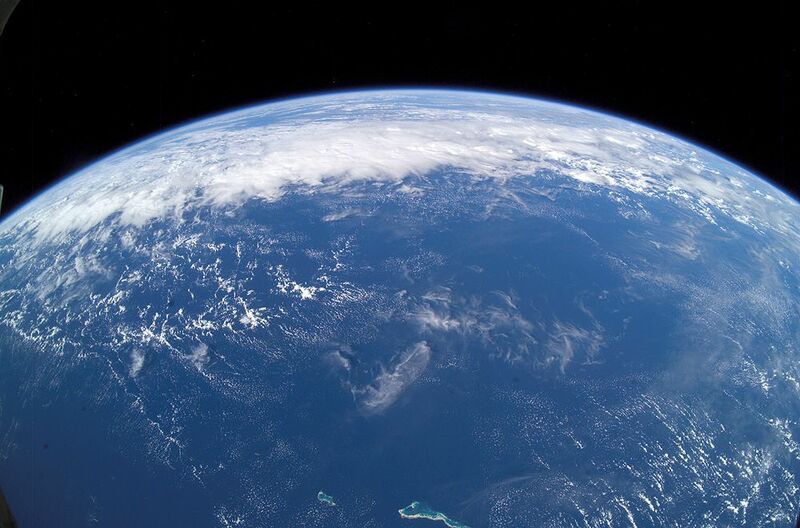 In fact, space rocks strike Earth every day, but they’re too small to cause any harm. It’s the ones large enough to do serious damage that concern NASA. 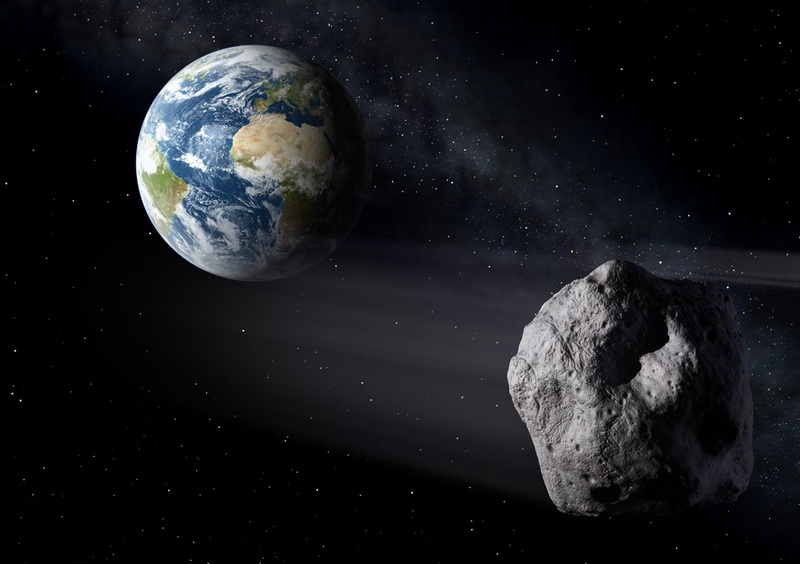 NASA has been thinking about the potential for an asteroid strike on Earth for a long time. They even have an office dedicated to it, called the Office of Planetary Defense, and minds there have been putting a lot of thought into detecting hazardous asteroids, and deflecting or destroying any that pose a threat to Earth. One of NASA’s proposals for dealing with an incoming asteroid is getting a lot of attention right now. It’s called the Hyper-velocity Asteroid Mitigation Mission for Emergency Response, or HAMMER. HAMMER is just a concept right now, but it’s worth talking about. It involves the use of a nuclear weapon to destroy any asteroid heading our way. The use of a nuclear weapon to destroy or deflect an asteroid seems a little risky at first glance. They’re really a weapon of last resort here on Earth, because of their potential to wreck the biosphere. But out in space, there is no biosphere. If scientists sound a little glib when talking about HAMMER, the reality is they’re not. It makes perfect sense. In fact, it may be the only sensible use for a nuclear weapon. The idea behind HAMMER is pretty simple; it’s a spacecraft with an 8.8 ton tip. The tip is either a nuclear weapon, or an 8.8 ton kinetic impactor. Once we detect an asteroid on a collision course with Earth, we use space-based and ground-based systems to ascertain its size. If its small enough, then HAMMER will not require the nuclear option. Just striking a small asteroid with sufficient mass will divert it away from Earth. If the incoming asteroid is larger, or if we don’t detect it early enough, then the nuclear option is chosen. HAMMER would be launched with an atomic warhead on it, and the incoming offender would be destroyed. It sounds like a pretty tidy solution, but it’s a little more complicated than that. A lot depends on the size of the object and when it’s detected. If we’re threatened by an object we’ve been aware of for a long time, then we might have a pretty good idea of its size, and of its trajectory. In that case, we can likely divert it with a kinetic impactor. One of the problems is with the asteroids themselves. They have different orbits and trajectories, and the time to travel to different NEO‘s can vary widely. And things in space aren’t static. We share a region of space with a lot of moving rocks, and their trajectories can change as a result of gravitational interactions with other bodies. Also, as we learned from the arrival of Oumuamua last year, not all threats will be from our own Solar System. Some will take us by surprise. How will we deal with those? Could we deploy HAMMER quickly enough? Another cautionary factor around using nukes to destroy asteroids is the risk of fracturing them into multiple pieces without destroying them. If an object larger than 1 km in diameter threatened Earth, and we aimed a nuclear warhead at it but didn’t destroy it, what would we do? How would we deal with one or more fragments heading towards Earth? HAMMER and the whole issue of dealing with threatening asteroids is a complicated business. We’ll have to prepare somehow, and have a plan and systems in place for preventing collisions. But our best bet might lie in better detection. We’ve gotten a lot better at detecting Near Earth Objects,(NEOs), Potentially Hazardous Objects (PHOs), and Near Earth Asteroids (NEAs) lately. We have telescopes and projects dedicated to cataloguing them, like Pan-STARRS, which discovered Oumuamua. And in the next few years, the Large Synoptic Survey Telescope (LSST) will come online, boosting our detection capabilities even further. It’s not just extinctions that we need to worry about. Asteroids also have the potential to cause massive climate change, disrupt our geopolitical order, and generally de-stabilize everything going on down here on Earth. At some point in time, an object capable of causing massive damage will speed toward us, and we’ll either need HAMMER, or another system like it, to protect ourselves and the planet. On October 19th, 2017, the Panoramic Survey Telescope and Rapid Response System-1 (Pan-STARRS-1) in Hawaii announced the first-ever detection of an interstellar asteroid, named 1I/2017 U1 (aka. ‘Oumuamua). Originally thought to be a comet, this interstellar visitor quickly became the focus of follow-up studies that sought to determine its origin, structure, composition, and rule out the possibility that it was an alien spacecraft! While ‘Oumuamua is the first known example of an interstellar asteroid reaching our Solar System, scientists have long suspected that such visitors are a regular occurrence. Aiming to determine just how common, a team of researchers from Harvard University conducted a study to measure the capture rate of interstellar asteroids and comets, and what role they may play in the spread of life throughout the Universe. The study, titled “Implications of Captured Interstellar Objects for Panspermia and Extraterrestrial Life“, recently appeared online and is being considered for publication in The Astrophysical Journal. The study was conducted by Manasavi Lingam, a postdoc at the Harvard Institute for Theory and Computation (ITC), and Abraham Loeb, the chairman of the ITC and a researcher at the Harvard-Smithsonian Center for Astrophysics (CfA). Using this model, the pair then began calculating the rate at which objects comparable in size to ‘Oumuamua would be captured by the Solar System, and how often such objects would collide with the Earth over the course of its entire history. They also considered the Alpha Centauri system as a separate case for the sake of comparison. In this binary system, Alpha Centauri A and B serve as the two massive bodies and an interstellar asteroid as the third. In the end, they determined that a few thousands captured objects might be found within the Solar system at any time – the largest of which would be tens of km in radius. For the Alpha Centauri system, the results were even more interesting. 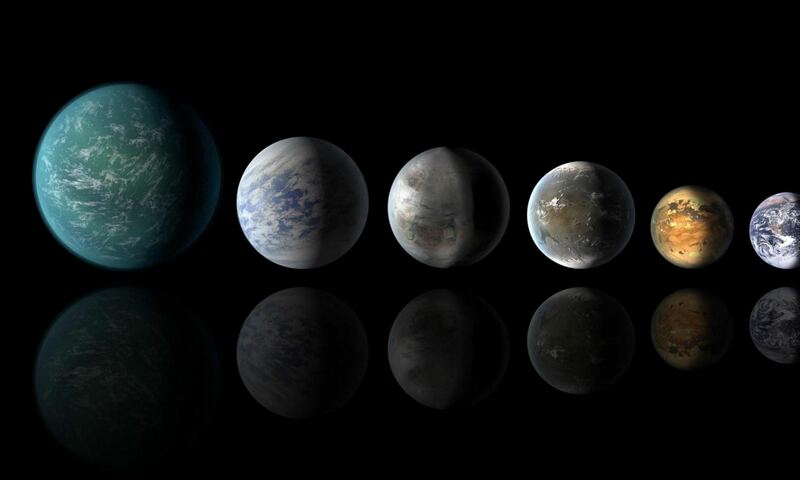 Based on the likely rate of capture, and the maximum size of a captured object, they determined that even Earth-sized objects could have been captured in the course of the system’s history. In other words, Alpha Centauri may have picked up some rogue planets over time, which would have had drastic impact on the evolution of the system. In this vein, the authors also explored how objects like ‘Oumuamua could have played a role in the distribution of life throughout the Universe via rocky bodies. This is a variation on the theory of lithopanspermia, where microbial life is shared between planets thanks to asteroids, comets and meteors. It would be no exaggeration to say that the discovery of ‘Oumuamua has set off something of a revolution in astronomy. In addition to validating something astronomers have long suspected, it has also provided new opportunities for research and the testing of scientific theories (such as lithopanspermia). In the future, with any luck, robotic missions will be dispatched to these bodies to conduct direct studies and maybe even sample return missions. What these reveal about our Universe, and maybe even the spread of life throughout, is sure to be very illuminating! In August of 2014, the ESA’s Rosetta mission made history when it rendezvoused with the Comet 67P/Churyumov–Gerasimenko. For the next two years, the probe flew alongside the comet and conducted detailed studies of it. And in November of 2014, Rosetta deployed its Philae probe onto the comet, which was the first time in history that a lander was deployed to the surface of a comet. During the course of its mission, Rosetta revealed some truly remarkable things about this comet, including data on its composition, its gaseous halo, and how it interacts with solar wind. In addition, the probe also got a good look at the endless stream of dust grains that were poured from the comet’s surface ice as it approached the Sun. From the images Rosetta captured, which the ESA just released, it looked a lot like driving through a snowstorm! The image below was taken two years ago (on January 21st, 2016), when Rosetta was at a distance of 79 km from the comet. At the time, Rosetta was moving closer following the comet reaching perihelion, which took place during the previous August. When the comet was at perihelion, it was closer to the Sun and at its most active, which necessitated that Rosetta move farther away for its own protection. As you can see from the image, the environment around the comet was extremely chaotic, even though it was five months after the comet was at perihelion. The white streaks reveal the dust grains as they flew in front of Rosetta’s camera over the course of a 146 second exposure. For the science team directing Rosetta, flying the spacecraft through these dust storms was like trying to drive a car through a blizzard. Those who have tried know just how dangerous this can be! On the one hand, visibility is terrible thanks to all the flurries. On the other, the only way to stay oriented is to keep your eyes pealed for any landmarks or signs. And all the while, there is the danger of losing control and colliding with something. In much the same way, passing through the comet’s dust storms was a serious danger to the spacecraft. In addition to the danger of collisions, flying through these clouds was also hazardous for the spacecraft’s navigation system. Like many robotic spacecraft, Rosetta relies on star trackers to orient itself – where it recognizes patterns in the field of stars to orient itself with respect to the Sun and Earth. When flying closer to the comet, Rosetta’s star trackers would occasionally become confused by dust grains, causing the craft to temporarily enter safe mode. This occurred on March 28th, 2015 and again on May 30th, 2016, when Rosetta was conducting flybys that brought it to a distance of 14 and 5 km from the comet’s surface, respectively. On both occasions, Rosetta’s navigation system suffered from pointing errors when it began tracking bright dust grains instead of stars. As a result, on these occasions, the mission team lost contact with the probe for 24 hours. Despite posing a danger to Rosetta’s solar arrays and its navigation system, this dust is also of high scientific interest. During the spacecraft’s flybys, three of its instruments studied tens of thousands of grains, analyzing their composition, mass, momentum and velocity, and also creating 3D profiles of their structure. By studying these tiny grains, scientists were also able to learn more about the bulk composition of comets. Before it reached its grand finale and crashed into the comet’s surface on September 30th, 2016, Rosetta made some unique scientific finds about the comet. These included mapping the comet’s surface features, discerning its overall shape, analyzing the chemical composition of its nucleus and coma, and measuring the ratio of water to heavy water on its surface. All of these findings helped scientists to learn more about how our Solar System formed and evolved, and shed some light on how water was distributed throughout our Solar System early in its history. For instance, by determining that the ratio of water to heavy water on the comet was much different than that of Earth’s, scientists learned that Earth’s water was not likely to have come from comets like Comet 67P/Churyumov–Gerasimenko. On top of that, the spacecraft took more than a hundred thousand image of the comet with its high-resolution OSIRIS camera (including the ones shown here) and its navigation camera. These images can be perused by going to the ESA’s image browser archive. I’m sure you’ll agree, they are all as beautiful as they are scientifically relevant!